Chessdom: Last time we saw each other on Creta during the ETCC. What are your impressions from Greece? 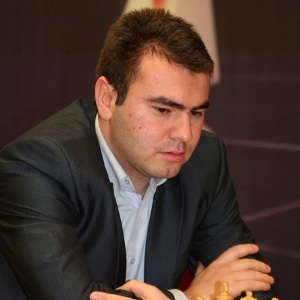 Shakhriyar Mamedyarov: Of course, ETCC was very successful and very important for Azerbaijan team. First time I played at board one and we finished on 3rd place. The tournament hall, hotel and everything was organized very well. I hope that such events will often take part in Greece in the future. It is to notice, that I was successful at a lot of tournaments in Greece. Chessdom: Azerbaijan had an explosive start, but Russia slowed you down and eventually you took the bronze medal. What are the plans for Olympiad? Are you going to play? Shakhriyar Mamedyarov: That is right, my team started very well, but of course after we lost against Russia and then against Slovenia we lost our chances to be a winner. Russian team played really good, I would highlight Svidler and Morozevich. Last Olympiad I did not play, but I hope that this year everything will be ok and I will play for my country. I think then we will have good chances to be a winner. Chessdom: I understand you had health issues during Corus. How do you feel now? Shakhriyar Mamedyarov: Yes, I was ill before the tournament and unfortunately I also didn’t feel good during the tournament. Now I am resting and hope that I will display good results and games in my future tournaments. Chessdom: Not only that Azerbaijan has a fantastic constellation of young Grandmasters, but your country is now investing in events as well. The first Grand Prix tournament is set to take place in Baku. What is your status as a top chess player in Azerbaijan and what are your expectations from this particular tournament? 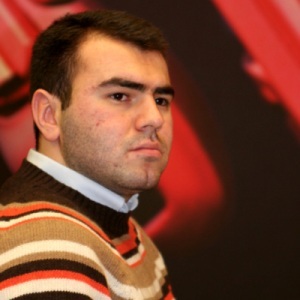 Shakhriyar Mamedyarov: I’m happy that first Grand Prix will take part in my country. It will help development of our young chess players, to become even better. It will be a very interesting and strong tournament and I hope that such events will be held in my country in the future too. Chessdom: You will be also participating in Monaco Melodi Amber. After our last year interview we expected to see you in Sofia again. Why are you not playing in the Mtel Masters? Shakhriyar Mamedyarov: Yes, I will play this year in Monaco Melodi Amber. This will be my first participation there and also first time blindfold chess with the elite players. The reason of not playing in Sofia this year is that I have not got an invitation from the organizers. I really enjoyed my stay during the last Mtel Masters, but unfortunately I have not got invitation for this year. Chessdom: Have you decided yet in which four of the Grand Prix events you will be playing? Shakhriyar Mamedyarov: I have already decided in which four Grand Prix events I will play, but can not tell you now, because it is confidential at the moment. You will know more about it really soon. Grandmaster Eduardas Rozentalis, born on 1963 in Vilnius, is International master since 1987, International Grandmaster since 1991, and for many years the highest rated Lithuanian on the FIDE list. 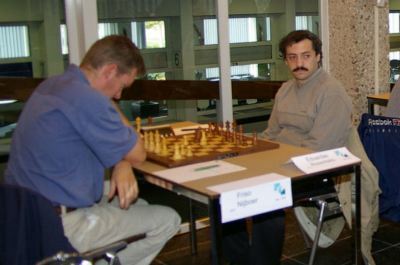 In addition, he has won Lithuanian Champion on 1981 and 2001 and another 25 international tournaments in different countries. 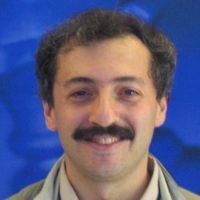 Eduardas is currently active in chess clubs in France, Germany, Poland, Austria, Israel and Greece. He defended Lithuanian colors on seven Chess Olympiads and five European Team Championships. We met him during the last one that took place in October on Crete. 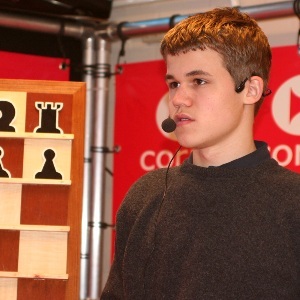 Chessdom: Hello Eduardas, once again congratulations for your fantastic win in Augsburg. Can you tell us more about this event? What are your impressions? a lucky winner. This time, the organizer tried to invite all the same players. Unfortunately, Ian Rogers finished his carrier as a player and another two people couldn’t attend the event. But as a full compensation, Suat Atalik’s wife, IM Ekaterina Atalik (2006 Champion of Europe), took part in the tournament and gave a simul to the members of Kriegshaber club. The organizer Johannes Pitl put a lot of energy and soul in this tournament. The Mayor of Augsburg Dr. Paul Wengert took the patronage of the event. He invited all the participants and organizers for the reception in the famous historical City Hall of Augsburg and also took part in the closing evening. All together, it was a very well organised tournament conducted in a very friendly, though combative mood. I do hope it was not my last visit to this lovely city. May be three years later, again?! Chessdom: You are big advocate of Exchange Ruy Lopez and Alapin Sicilian (2.c3), practically brining these lines back in life in the early 90′s. How do you feel about this fact? What made you to consistently trust in these lines? Eduardas Rozentalis: Both my parents played chess, my mother was twice champion of Lithuania 1962 and 1964, my father was a member of Lithuanian Youth squad. So practically I had no choice and at the age of 7 years old I learnt it at home, later also started to attend Chess School in Vilnius. I like playing, like traveling, meeting different people and countries. Eduardas Rozentalis: Mostly I like playing strictly positional chess, I like endings. Eduardas Rozentalis: It’s not easy, competition is very high. It’s really difficult to make living from the tournaments and playing team leagues can secure sufficient earnings. In spite of all the difficulties, everything depends on the professional player – play better and you will have more possibilities and invitations! Chessdom: Basketball is very popular in Lithuania. What about chess? Can you tell us more about the developments in your country? Eduardas Rozentalis: Yes, basketball in Lithuania is like football in Brazil. Every kid and adult is a good player, except of yours truly. 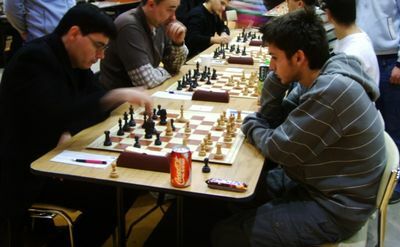 Chess is not so popular, but many people know how to play and many pupils attend chess schools. Some of them still play during their college years, but later choose financially safe professions; especially with a European integration of Lithuania, there are so many possibilities to study, work and make carrier in different fields. Eduardas Rozentalis: Simply to go on with playing tournaments and team competitions in different countries. My first tournament will be Cappelle la Grande. Eduardas Rozentalis: Probably my game against Ivanchuk from Manila Olympiad 1992. It was a first Olympiad for myself and my country, very inspiring event. It was a memorable victory against such a strong player in spite of the existence of one moment when my play could have been refuted. Eduardas Rozentalis: Thanks a lot and good luck with your website, probably one of the best and most informative about chess. The 30th open chess championship of Bulgaria “Memorial Georgi Tringov” took place February 02-08 in Plovdiv. More than 200 players from 7 countries, 13 GMs and 17 IMs took part in the competition. 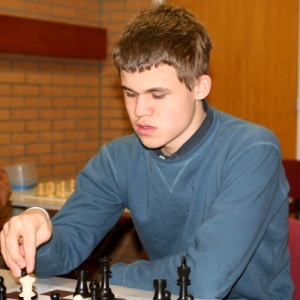 It was won by GM Valentin Iotov with 7,5/9, halfa point before the chasing pack. Second place was shared by 9 players. The most impressive was the performance of the young Romanian talent IM Ioan Cristian Chirila. Just a few months ago he grabbed the U16 World Championship title. Here is an exclusive interview with IM Chirila a round before the end of the competition. Chessdom: Good afternoon, Mr. Chirila! We are happy to see you here In Bulgaria. Have you been in Bulgaria before? Do you like Plovdiv? Chirila: Yes, I like Plovdiv very much but I’ve never been in Bulgaria before. This is my first time here. I was in the centre. I like it most at night. It’s really nice. Chessdom: Eight rounds of the tournament have already passed and your score is not bad at all. Chirila: Yes, I definitely have a good tournament so far. Tomorrow I hope I will win and I will take some of the first places. Chessdom: We hope so. Which was the most interesting game so far? Chirila: I think the most interesting game was that against Nevednichi from Romania. That game I lost. I had a good position and then I missed something and I lost. You know, as they say you can learn more from the losses than from the wins. Chessdom: A few months ago you grabbed the World Championship U16 title. Chirila: It was my best tournament in my life so far. I just had some luck but I was in good shape. Everything went good and I won the title. Chessdom: What do you do in your leisure? What other interests do you have? Chirila: First of all, I go to school. I like to go out with my friends. I like football and sometimes we go out to play. And other ordinary things. Like every teenager. Chessdom: Do you have a favorite chess player? Chirila: I think Garry Kasparov is my favorite chess player. I really like his style. Chessdom: What is your next tournament? Would you take part in the European Championship here in Plovdiv in April? Chirila: My next tournament is the Romanian national championship for men. After this tournament there will be the championship for my group- boys under 18. I think I will be here in Plovdiv for the European Championship but I am not sure. I hope I will take part. It will be very strong tournament. Chessdom: Thank you very much for the interview. We wish you good luck in your next tournaments! Frederic Sellier: Hi Anna, can you introduce yourself to our French readers? 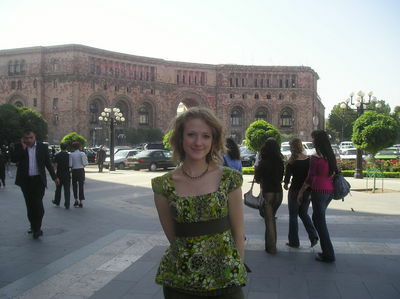 Anna Rudolf: My name is Anna Rudolf, I was born on 12 November 1987 in Miskolc, Hungary. I’m currently a student at the University of Pécs (Hungary), Faculty of Humanities. I study English as major, and Russian and Finnish as additional languages. Frederic Sellier: When and how did you learn chess? 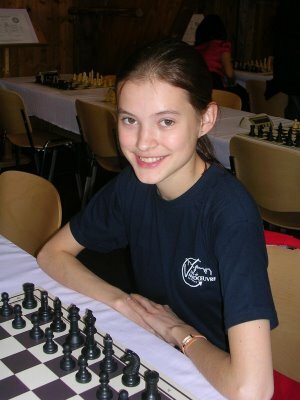 Anna Rudolf: I can’t remember, but it is said that I’d learnt to play chess when I was about 3 years old. My father (a candidate master of original chess, former world champion of hexagonal chess) loved the game and there was always a chess set around. So me and my sister (she is 1 year younger than me) often “played” on it: just pushing the pieces whereever we wanted to. But there was a very tempting computer game, called Battle Chess which we also wanted to play, but as you can’t just move anything against a computer… well, we had to learn the rules. And so this is how it started I’ve been playing on chess tournaments since I was 8. Frederic Sellier: What is the best memory from your career as chess player? 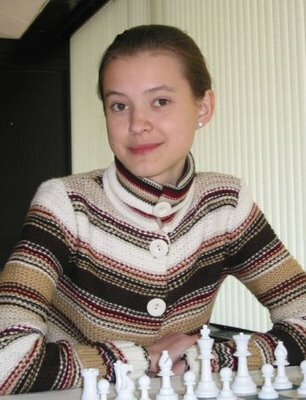 Anna Rudolf: My kindest memory of chess is a quite recent one: my performance on the Vandoeuvre Open in December 2007. Except for the last round’s happenings, it was really great, the best tournament of my life so far. Frederic Sellier: What other chess achievements of yours are worth mentioning? 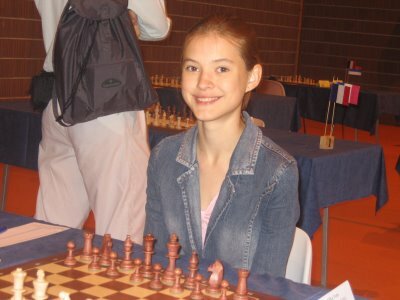 Anna Rudolf: I became Hungarian champion several times (firstly U12, then U14, U16 and U20). Playing for the Hungarian team I was the best scorer amongst all girl players on the U18 European Team Championship (and that’s how I landed in the club Vandoeuvre;). I finished 10th on the U12 World Championship, then 8th at the U16 girls and 5-8th on the U20 World Championship. I should get my WGM title on the next FIDE Congress, thanks to acheiving my 3rd WGM-norm at the Vandoeuvre Open (also a man IM norm I made there). Frederic Sellier: Who is your favorite player? And favorite female player? Anna Rudolf: I’m a fan of Garry Kasparov, Levon Aronian, Tigran Petrosian, Bobby Fischer, and of course the Hungarian players, such as Lajos Portisch, Judit Polgar and Peter Leko. Frederic Sellier: What is your main character trait? And your principal weakness? Anna Rudolf: I’m said to be a cheerful girl who loves smiling and laughing. Usually I’m friendly and nice to people (at least they say so . My main strength is my enthusiasm and willpower, I think. I want to be the best in everything I do, and I’m stubborn enough not to give up. I’m quite sensitive by nature, small things can bring a huge smile to my face but also the opposite: I get hurt easily. This is my principal defect, I think. Frederic Sellier: How would you best define your chess style? Anna Rudolf: I’m trying to reach a reasonable position in my games, which I can build further, better, by tiny little steps and active play. As a friend of mine said, I’m an “active positional”. Frederic Sellier: How many hours daily you devote to chess study? Anna Rudolf: It depends. On a somewhat busy university day let’s say about 2-3 hours, when I have more free time about 5-6 hours a day. Frederic Sellier: What is your most memorable game? Anna Rudolf: It’s my game against GM Christian Bauer (sorry, Christian!). Beating a +2600 GM is pretty memorable in itself, too, but playing against Christian was even more memorable for me, as I appreciate him as a player and a person, too. Frederic Sellier: Do you have another hobby? Frederic Sellier: What are your plans for the future? Anna Rudolf: In February, I will play in Cappelle la Grande, and I hope to meet again this year in the French Women’s League my “nice” team of Vandoeuvre, my “nice” teammates Fiona, Mathilde and Rebecca, and my “nice” captain Vincent. Frederic Sellier: Hello Vera! Can you introduce yourself to our readers? Frederic Sellier: When and how did you learn to play chess? Vera Nebolsina: My mother Tatiana taught me the rules of chess when I was about 4 years. She also taught me how to play other games, such as “Go”, cards, and draughts. 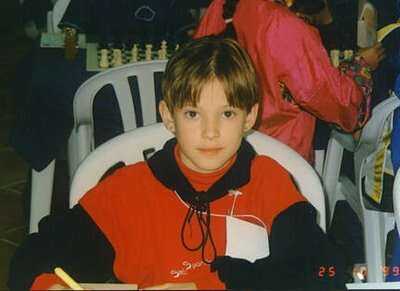 I have played in many tournaments since I started participating at the age of 6. Now my coach is my father Valery, a Chess Master as well. Frederic Sellier: How was your chess journey so far? Vera Nebolsina: My first success was when I became Russian U7 champion. Next I was 1998 World Champion and 1999 vice-champion for girls under 10 years of age. The most recent was title of the World Junior Champion with 10/13 in Yerevan (Armenia), played on last October. Frederic Sellier: How many hours daily you devote to chess study and how would you best define your chess style? Vera Nebolsina: I practice chess approximately 6 hours per day … I am a positional player but also a tactician! Frederic Sellier: Who is your favorite player? Vera Nebolsina: I like Jose Raul Capablanca, Gary Kasparov, Judith Polgar, Vishy Anand and Bobby Fischer. Frederic Sellier: What is your main character trait? Vera Nebolsina: It is not easy question … but perhaps my main trait is that I have perseverance in getting to the point. Frederic Sellier: And your principal weakness? Vera Nebolsina: My main shortcoming is that I am often pressed both in life and also behind the chessboard! Vera Nebolsina: I like literature and history (I have already read “The Three Musketeers” and “The Conte of Monte-Cristo” by Alexandre Dumas and “Mysterious Island” by Jules Verne), and I know by hard the Shakespeare’s sonnets, fairy tales of Pushkin and “Sermon of the Mount.” And I also like to listen to music! Frederic Sellier: What are your future challenges in the short and medium term? Vera Nebolsina: My next challenge is Capelle la Grande (16-23 February 2008) and my main tournament for this year will be the next World Championship that I actively prepare for.